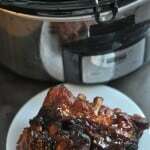 I bought my Instant Pot after hearing from friends who swore the kitchen appliance was saving them time in the kitchen each week. 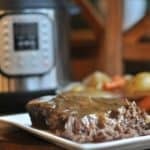 I love my Crock-Pot Slow Cooker, and wasn’t initially convinced I needed a new kitchen gadget but really was open to trying anything that might help with meal planning. 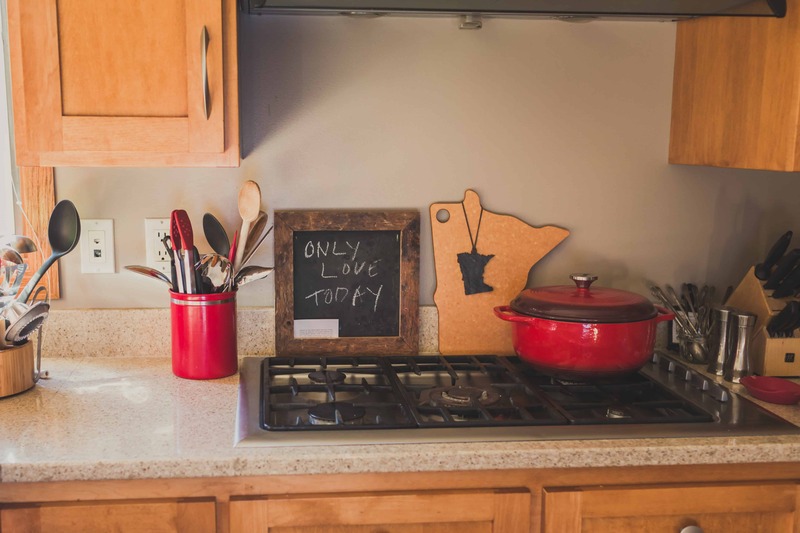 After unpacking it, I was initially scared of the setup process but then I took a few minutes to actually read the directions and do the recommended test, and then I was off to the races trying my Instant Pot. One of the first tests of my Instant Pot was hard boiled eggs. 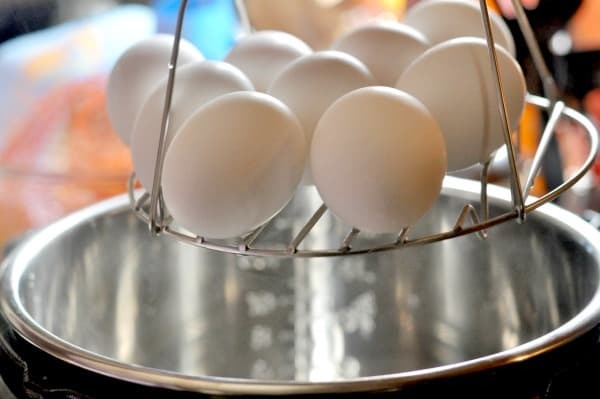 We love hard boiled eggs in our house and I usually eat one every day for breakfast with hummus and some sort of bread and I include them in school lunches when I make pancakes or waffles. I also love having them around the house as grab-and-go snacks. Two things I royally hate making: hard boiled eggs and rice. I love an appliance that allows me to do other things and not putz around the stove watching boiling water. Which, as a mom, usually five million things are happening during dinner prep. So I have a rice cooker and I’ve been putting my husband in charge of boiling the eggs each week. I admit, he was not convinced my new appliance would produce quality hard boiled eggs. So I was excited about being able to quickly make the weekly batch of hard boiled eggs in my Instant Pot without much fuss. 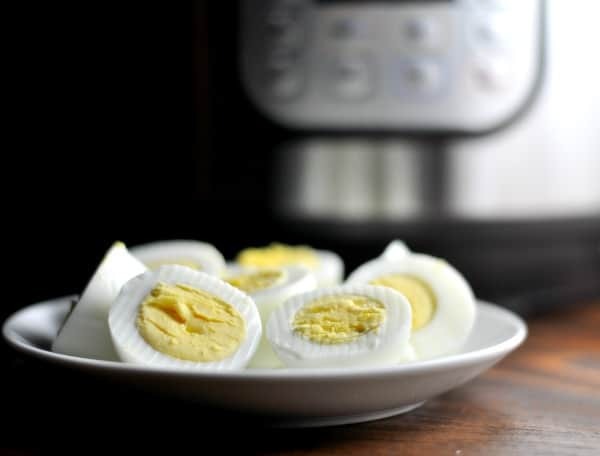 I started making Instant Pot hard boiled eggs each week, testing out different time amounts and water until I got it to just the right taste. 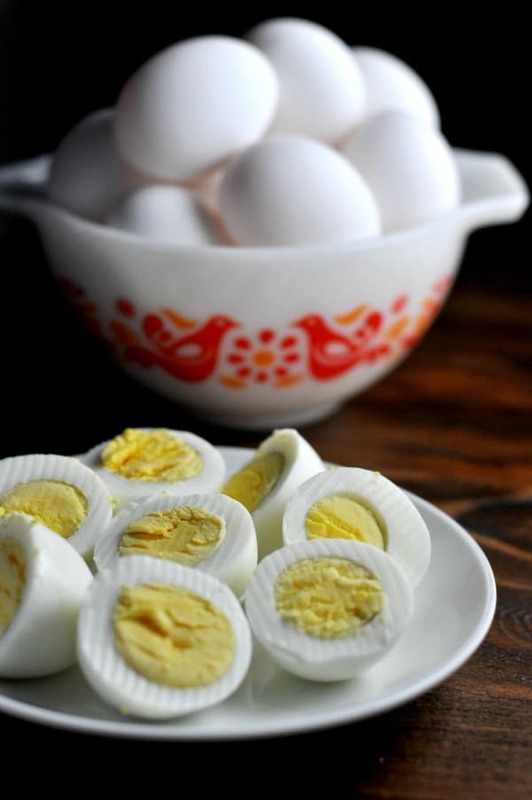 The eggs are just the right texture and taste for making egg salad or Deviled eggs. I was really intimidated to make a meal in my Instant Pot for the first time. 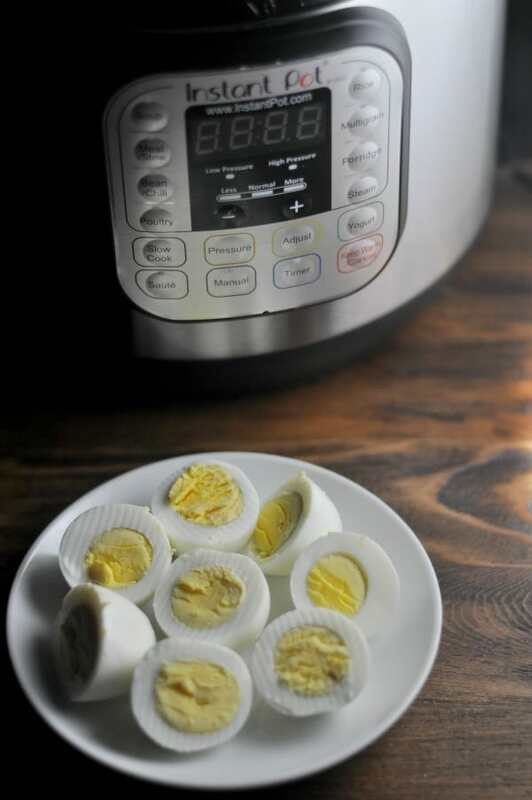 This recipe is so simple and making these Instant Pot hard boiled eggs is a great recipe for your first time testing out your Instant Pot because it gives you some practice running the appliance and trying out the quick pressure release. Always use 2 cups of water. Use the included basket and arrange eggs carefully. I always make a dozen eggs at a time. Once the three minutes are up, click cancel to stop the keep warm function, then use the quick pressure release to release steam, don’t let the eggs sit in the Instant Pot. Carefully remove the eggs (they will be hot) and let them cool in an icy bowl of water. Peel once the eggs have cooled and store in the refrigerator in a gallon resealable plastic bag. 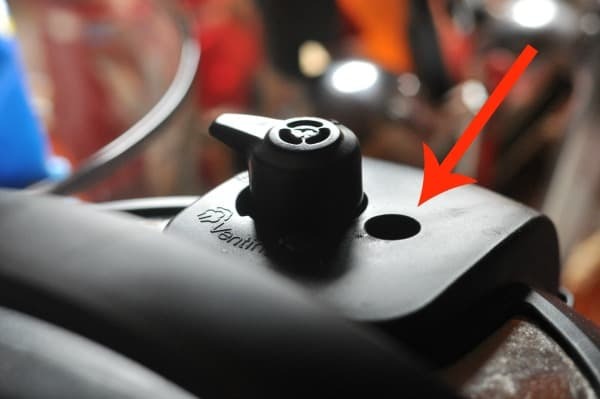 What does Instant Pot Quick Pressure Release mean? There are two ways of releasing the pressure that builds up when using your Instant Pot. You can use the Quick Pressure Release or Natural Pressure Release. Natural Pressure means you let the machine cool down on its own and gradually release steam. 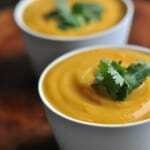 Quick Pressure Release is handy for stopping the cooking process and is great for delicate foods. To do a Quick Pressure Release, click cancel to stop the keep warm function, and then use a kitchen towel to turn the steam release lever until steam starts to release. Once the steam releases and it is safe to open, the float valve will drop and you may safely open your Instant Pot (see the arrows in the pictures below). Making Instant Pot hard boiled eggs has really helped in my weekly meal planning. The eggs are great for breakfast and perfect to add some protein to a meal or snack. I’ve also really loved using my Instant Pot for meals for my family and I’ve been making beans, rice, meat, and soups in it. I’m really looking forward to sharing more recipes with you about how this is helping me get meal planning done efficiently. These Instant Pot hard boiled eggs are the first recipe in my Instant Pot series. Do you have an Instant Pot? 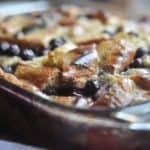 Is it helping you with meal planning? Leave me a comment here or over on my Facebook Page. I love hearing from you! Pour two cups of water into your Instant Pot. 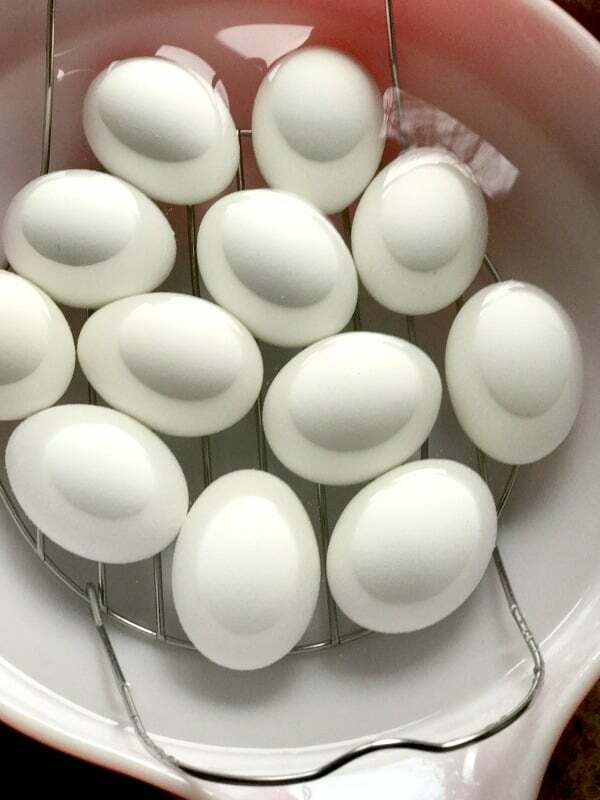 Place rack in your Instant Pot and arrange eggs. Secure lid. Press manual setting and set for 3 minutes. When your Instant Pot has finished cooking, press off. Use the quick pressure release function. Use a kitchen towel to turn the steam release lever until steam starts to release. Once the steam releases and it is safe to open, the float valve will drop and you may safely open your Instant Pot. 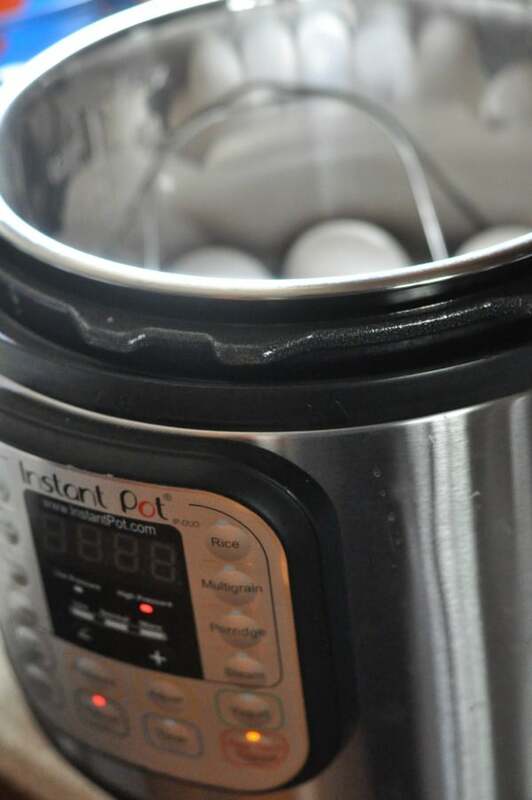 Open Instant Pot and remove eggs. 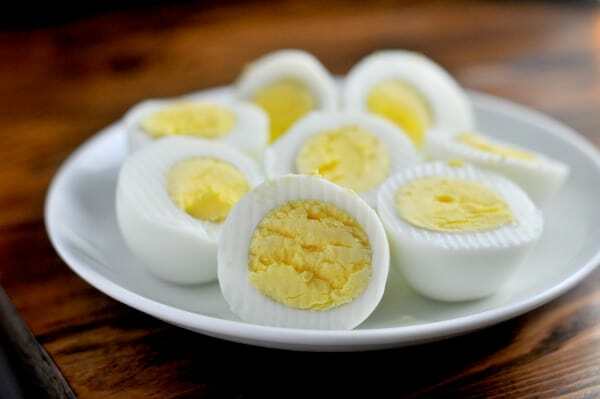 Place eggs into a bowl filled with icy water. Once the eggs have cooled, peel the eggs and store in your refrigerator in a gallon resealable plastic bag. 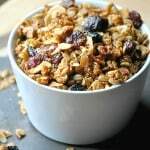 This entry was posted in Breakfast, Instant Pot and tagged breakfast, meal planning, meal prep, paleo, Whole 30 by Alice Seuffert. Bookmark the permalink. 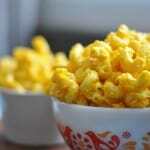 Love your simple recipes and easy to follow instructions. Just got my Instant Pot for my birthday. First thing I made was your pot roast recipe. It came out perfect. My husband and I were very impressed. Thanks!! What a lovely note! Thank you so much for taking the time to leave this comment. I really appreciate and am so thankful to have you as a reader. Have a great day and happy belated birthday! Are the hard boiled eggs easy to peel once they are cooled? Hi Mary, Yes! I’ve found the eggs that work the best in this recipe are ones that are NOT freshly purchased. Great to use up eggs in your fridge!